In the latest QS ranking of BRICS universities, announced on 18 June 2014, the University of Johannesburg (UJ), younger than 10 years, and a comprehensive university without a medical school, has retained its excellent position in this economic bloc’s Top 100 Universities. 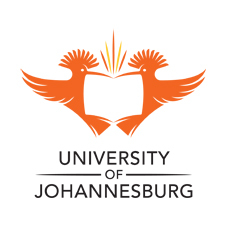 This latest ranking also places UJ in the sixth position among South African universities. Ranked at position 63, and albeit two positions lower than that for 2012/13, UJ is one of only a handful of the Top 100 BRICS Universities that have improved their overall score. Significantly, this year, the pool of universities qualifying for ranking was increased from 400 to 500, resulting in even greater competition for ranking in the Top 100. Moreover, this year, 200 instead of 100 universities were ranked. In light of its remarkable contribution to diversifying South Africa’s professions, such as contributing 27% of Black chartered accounting candidates in 2013, the University is especially proud at this accomplishment. In this manner, the University is demonstrating that it is possible to respond to national priorities and achieve global excellence and stature.